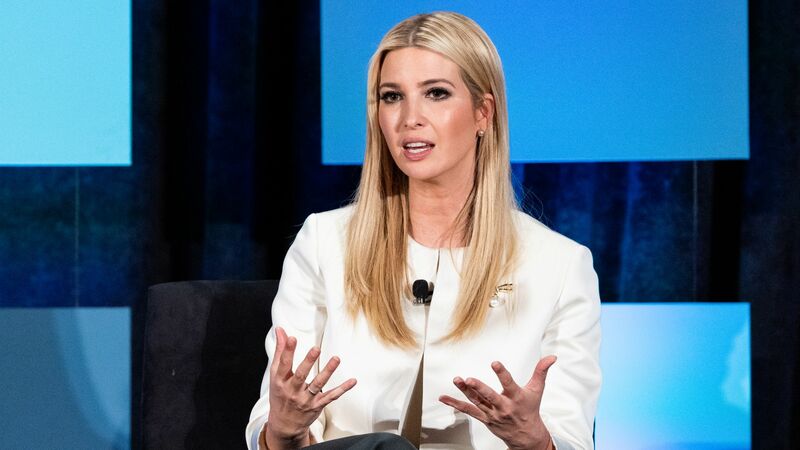 Ivanka Trump used a personal account to send hundreds of emails to White House aides, administration officials and her assistants, the Washington Post's Carol Leonnig and Josh Dawsey report. Why it matters: Many of the emails reportedly violated federal records rules and "alarmed" some of President Trump's advisers, given he made Hillary Clinton's use of a private email account a central tenet of his 2016 campaign. Ivanka Trump reportedly told aides that she was not familiar with some of the rules regarding her email practices. Statement from Peter Mirijanian, spokesman for Ivanka Trump’s lawyer and ethics counsel, Abbe Lowell: “While transitioning into government, after she was given an official account but until the White House provided her the same guidance they had given others who started before she did, Ms. Trump sometimes used her personal account, almost always for logistics and scheduling concerning her family." Mirijanian also contrasted Ivanka Trump's actions with Clinton's, who as secretary of state kept a private email server in her basement and later had thousands of her emails deleted: “Ms. Trump did not create a private server in her house or office, no classified information was ever included, the account was never transferred at Trump Organization, and no emails were ever deleted." Details: Ivanka Trump's personal account reportedly has a domain, "ijkfamily.com," that she shares with her husband Jared Kushner. "The couple’s emails are prescreened by the Trump Organization for security problems such as viruses but are stored by Microsoft, [people familiar with a White House examination of her correspondence] said," per the Post. "Trump used her personal account to discuss government policies and official business fewer than 100 times — often replying to other administration officials who contacted her through her private email." However, she also sent hundreds of messages regarding her official work schedule and travel details. The bottom line: "Using personal emails for government business could violate the Presidential Records Act, which requires that all official White House communications and records be preserved as a permanent archive of each administration," Leonnig and Dawsey write. "It can also increase the risk that sensitive government information could be mishandled or hacked, revealing government secrets and risking harm to diplomatic relations and secret operations."